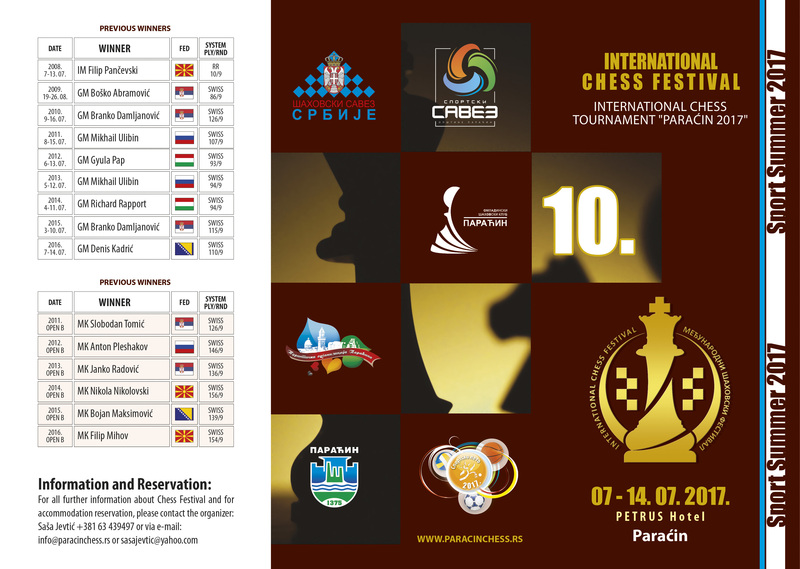 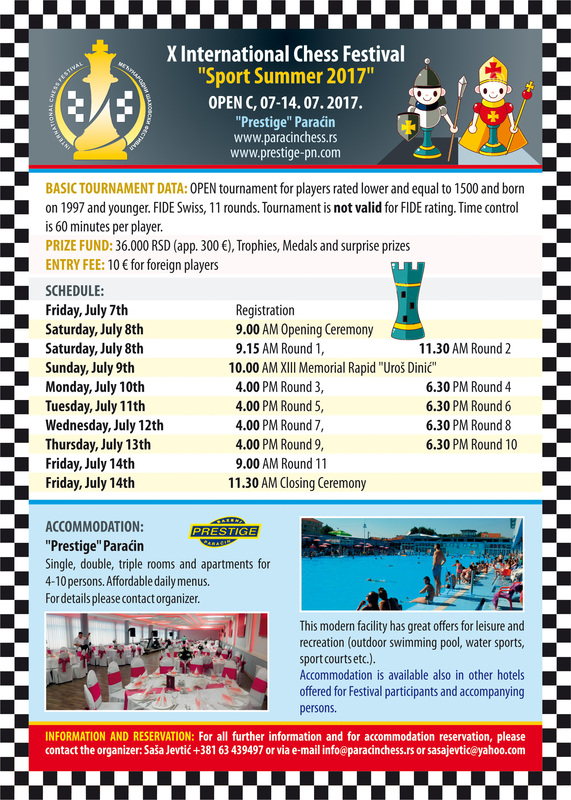 It is our pleasure to announce that International Chess Festival "Sport Summer" in Paracin, when we celebrate its jubilee the 10th anniversary of its existence, has made an important step towards preserving the reputation of the most important and the best traditional open chess event in Serbia. 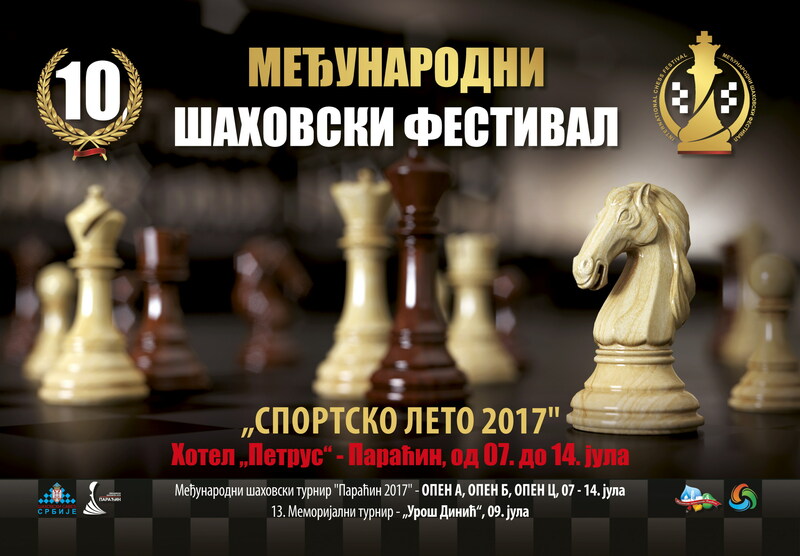 Based on the decision of SCF Executive Board from March 14th 2017 (www.serbiachess.net ), this prestigious event got patron in the form of a national branch association. 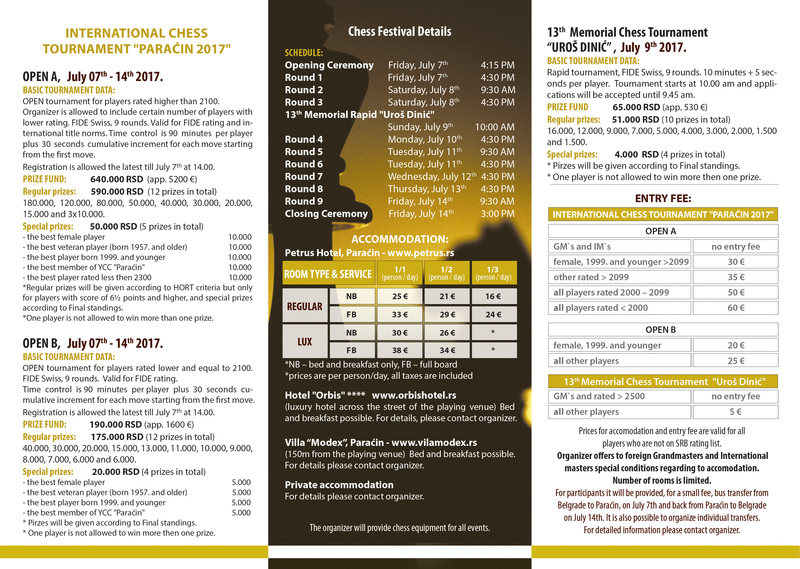 This decision will contribute to raising the quality of the Festival in all fields this year and in the coming years. 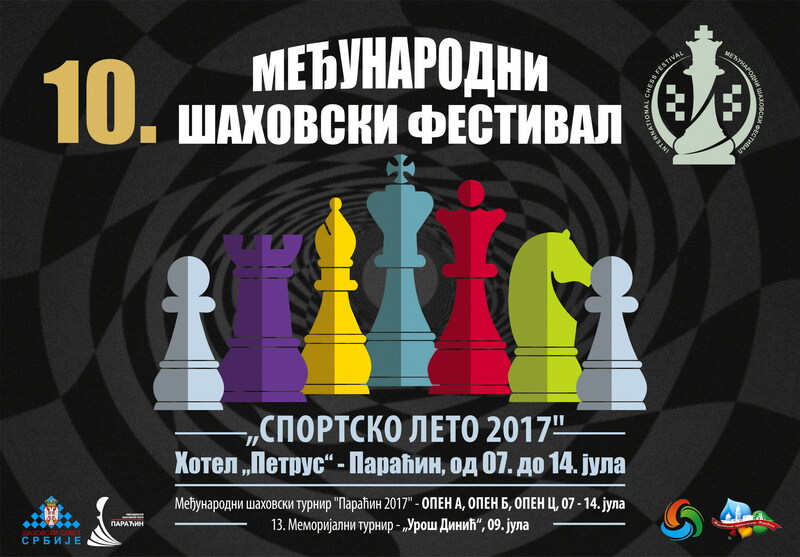 Accordingly, the Organizing Committee of the Festival has decided to change the name of the main tournament this year into International Chess Tournament "Paracin 2017". 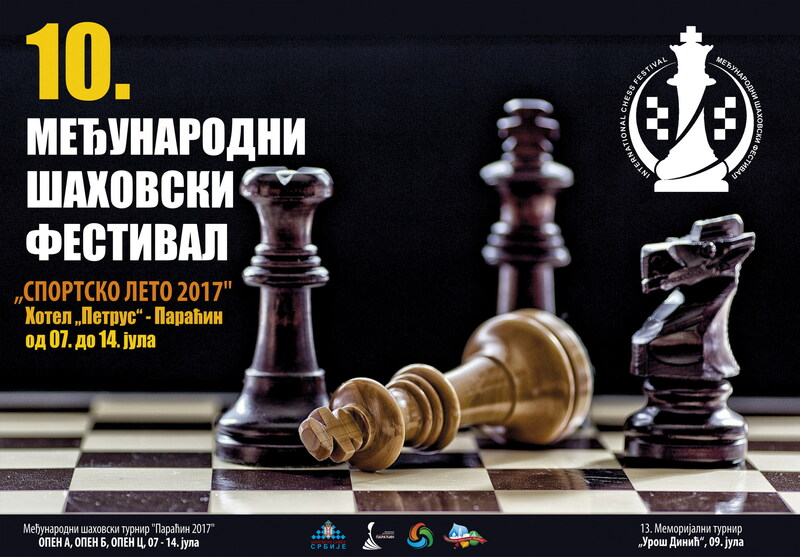 Patrons of the Festival will be Paracin Municipality (through its institutions Tourism organization of Paracin Municipality and Sports Association of Paracin Municipality) and the Serbian Chess Federation.